1 of 1 Mix mayonnaise, chili sauce, pickle relish and lemon juice in a bowl. Remove and reserve 1/4 cup. 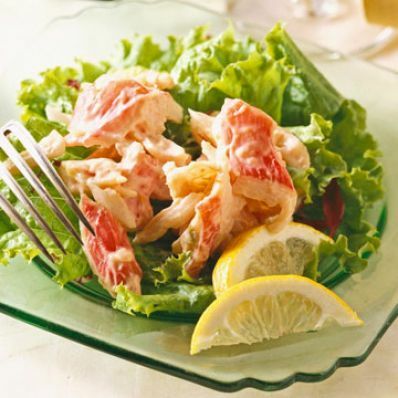 Combine remaining dressing with surimi. Toss reserved dressing with salad greens. Arrange greens on 4 plates. Top each surimi mixture. Makes 4 servings.